Canada’s Nissan and Infiniti franchised dealerships now have another tool available if they already use solutions from Dealertrack. Cox Automotive Canada’s Dealertrack, in partnership with Nissan Canada Extended Services (NCESI) is launching an eMenu Presentation Platform powered by DealerCorp. NCESI offers extended services and prepaid maintenance plans for Nissan and Infiniti customers through its dealer networks across Canada. This announcement expands Dealertrack Canada’s existing captive finance company integration relationship with Nissan and Infiniti dealers in Canada, which can secure financing for their customers from a single connection via the Dealertrack Canada online credit application network. The introduction of the new eMenu Presentation Platform means Dealertrack Canada now can offer an intuitive retail platform that’s become even more powerful for Nissan and Infiniti dealers across the country. “We are excited to be partnering with Nissan Canada Extended Services Inc. and to be expanding our services and solutions to Nissan and Infiniti dealers nationwide,” said Maria Soklis, president of Cox Automotive Canada. “Workflow efficiency is crucial in today’s retail environment. Dealers can also build higher customer engagement and satisfaction by using our tools,” Soklis continued. • Speed and accuracy: eMenu Presentation Platform presents real-time Nissan-rated programs and one-click printed contracts. • Adaptive presentation: Dealers can offer traditional paper, interactive, step or flow sell menu presentations based on their selling style. • Agnostic and responsive: eMenu Presentation Platform is cloud-based and fully optimized for the same user experience on a desktop, tablet, or any other mobile device. • Convenient and flexible: eMenu Presentation Platform is integrated with all Canadian insurance providers. “The Dealertrack eMenu Presentation Platform will provide all of our Canadian Nissan and Infiniti dealers with an F&I presentation tool that is not only powerful, but incredibly intuitive and easy-to-use, while also ensuring we bring tailor-made solutions to our customers,” said Raphael Huegli, president of NCESI. 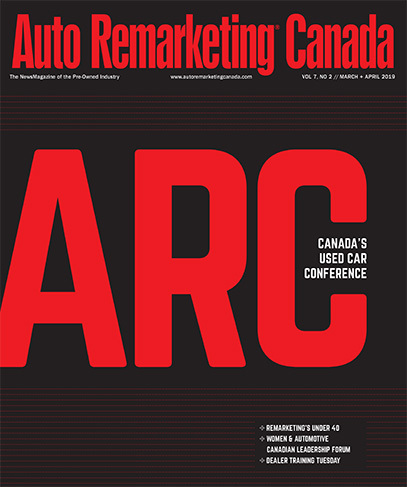 For more information, contact Karen Pluthero, head of marketing and branding at Cox Automotive Canada, at Karen.Pluthero@coxautoinc.com.